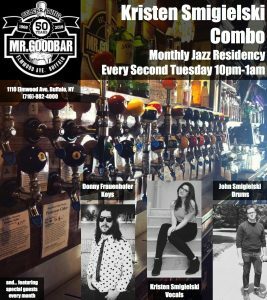 Come join the Kristen Smigielski Combo for their monthly Jazz residency at Mr. Goodbar! Every 2nd Tuesday from 10pm-1am. ...Also featuring special guests every month!